Sleep. We all need it, but sometimes we don’t get enough. 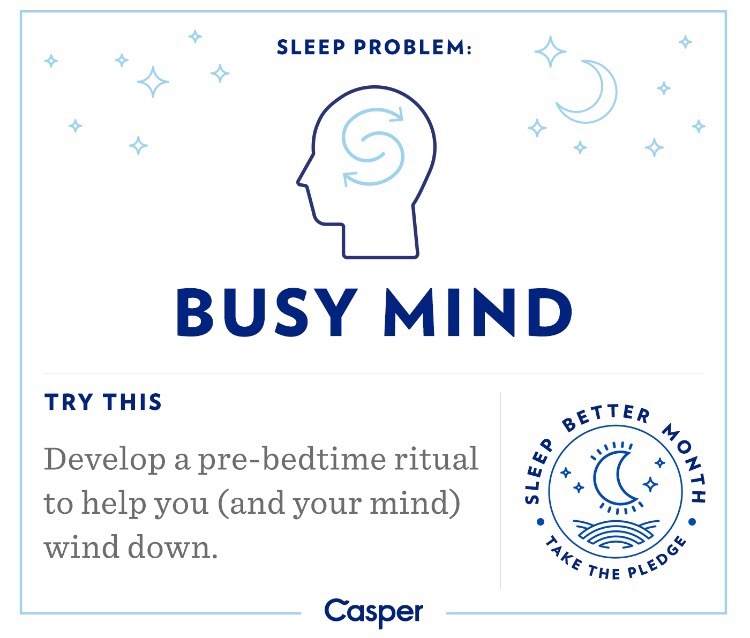 Therefore, Casper (you can read about their mattresses here) and I are very excited to share some tips for better sleep. 1. Relax. Do something each day to relax and de-stress. Some ideas are: yoga, meditation, praying, deep breathing and stretching. 2. 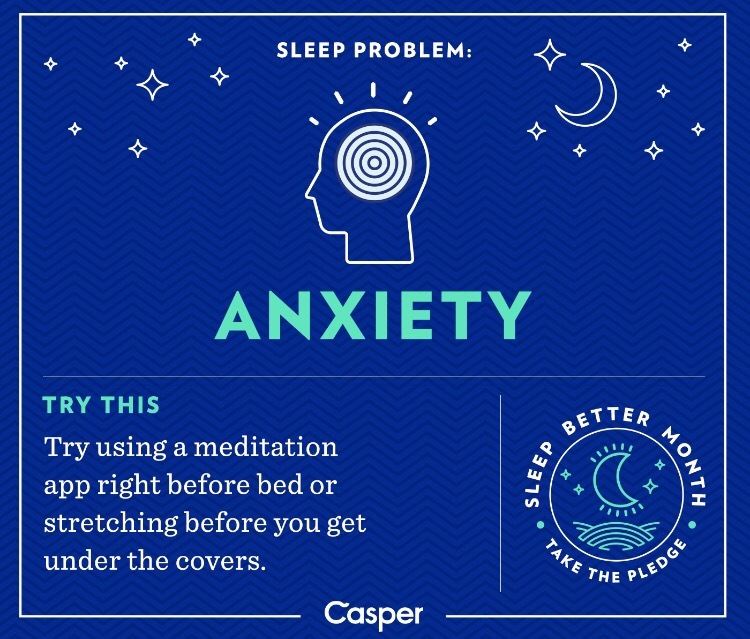 Create a nighttime routine. 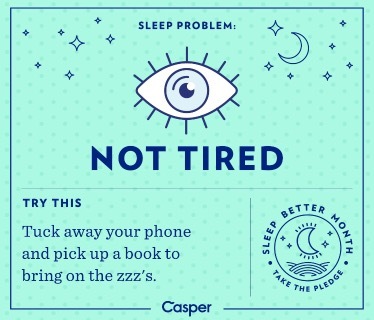 Each night, doing the same actions will tell your body it is time for resting. For example, you could take a shower, do several sun salutations, read and go to bed. It also helps to go to bed and get up the same times each day, even on the weekend. 3. Elliminate the noise. 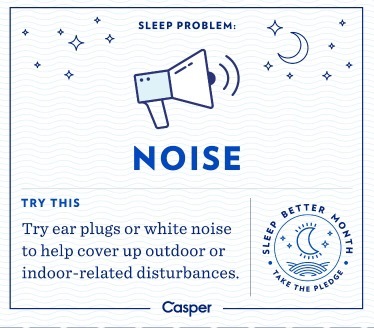 Using a fan, sleep machine or ear plugs can help minimize noise and create a more restful environment. 4. Shut down. Minimizing screen time an hour before bed and writing down a to-do list can help quiet your mind. 5. Take this. Drinking warm milk or taking gentle sleep complex can also help bring on sleep. If you enjoyed this post, you may enjoy 6 tips to better health, marvelous Monday and Get your health score. 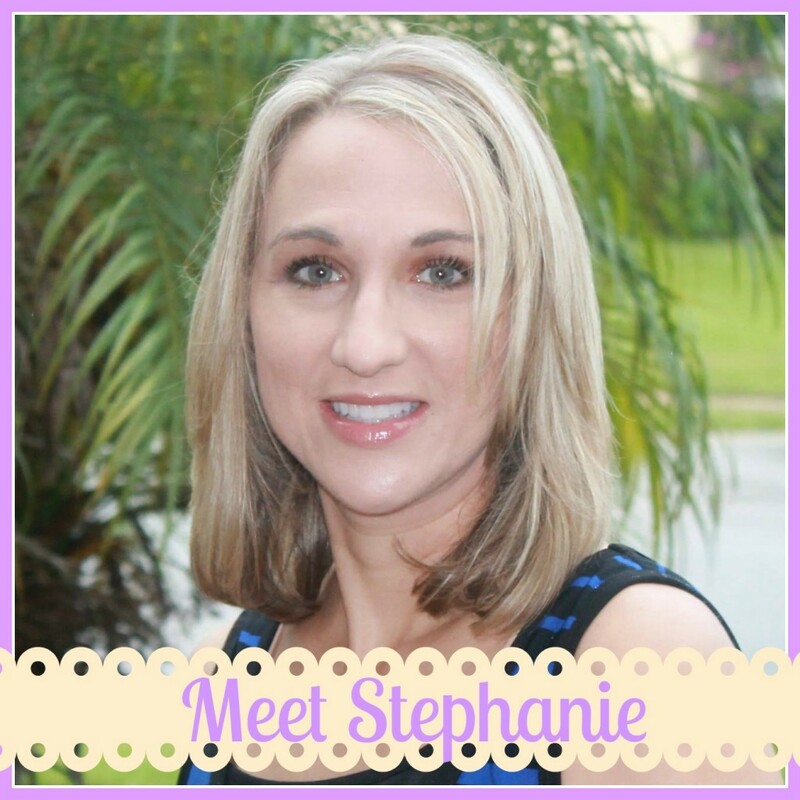 This entry was posted in Life and tagged gentle sleep complex, rest, sleep, yoga.